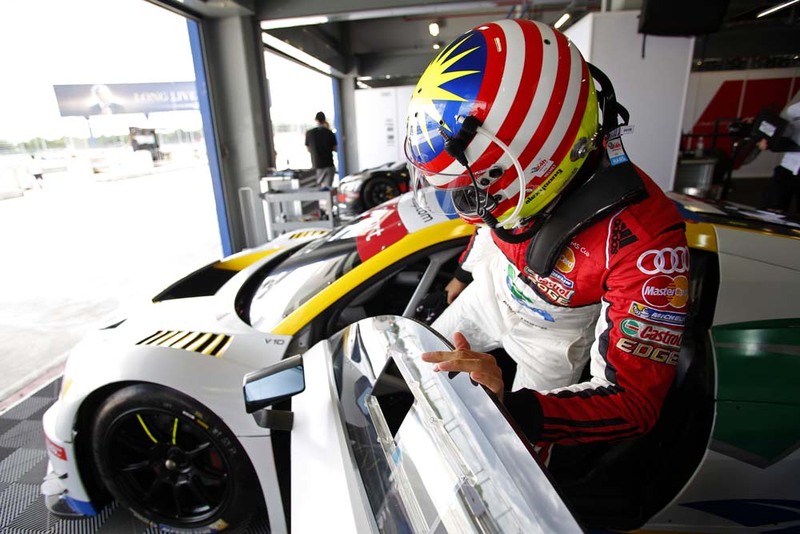 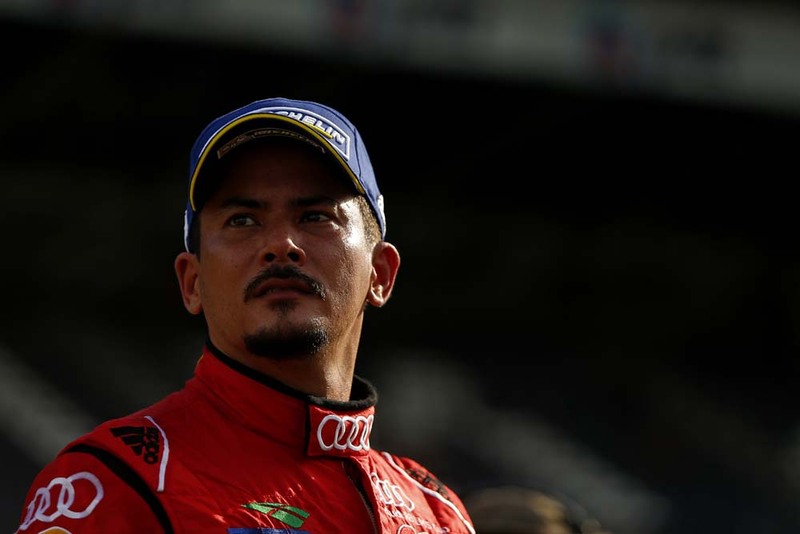 Alex Yoong (MAL) Audi TEDA Racing Team at Audi R8 LMS Cup, Rd3 and Rd4, Buriram International, Circuit, Buriram, Thailand, 22-24 July 2016. 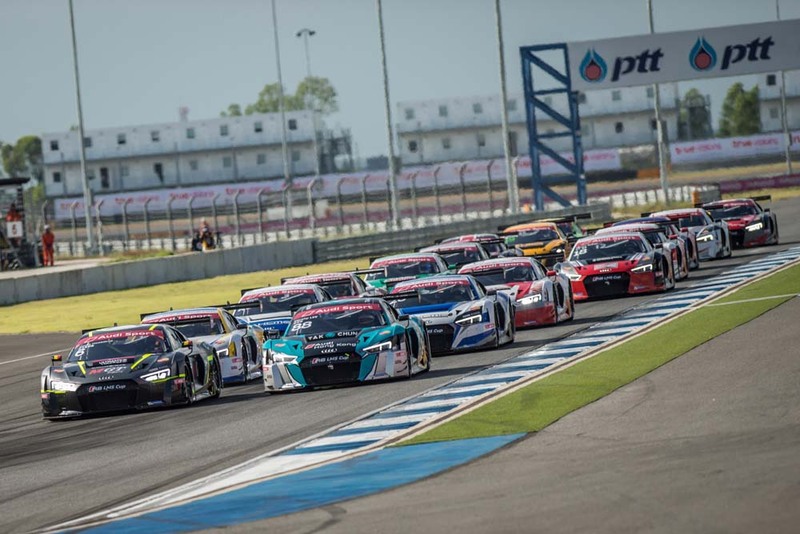 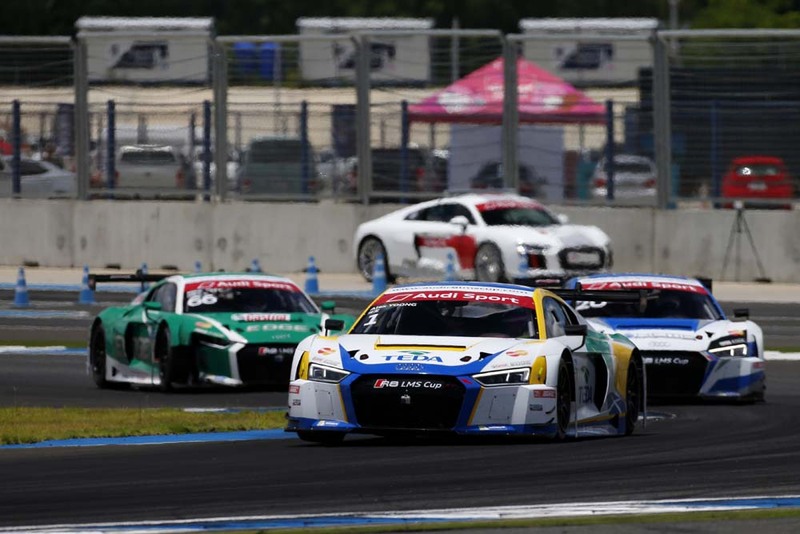 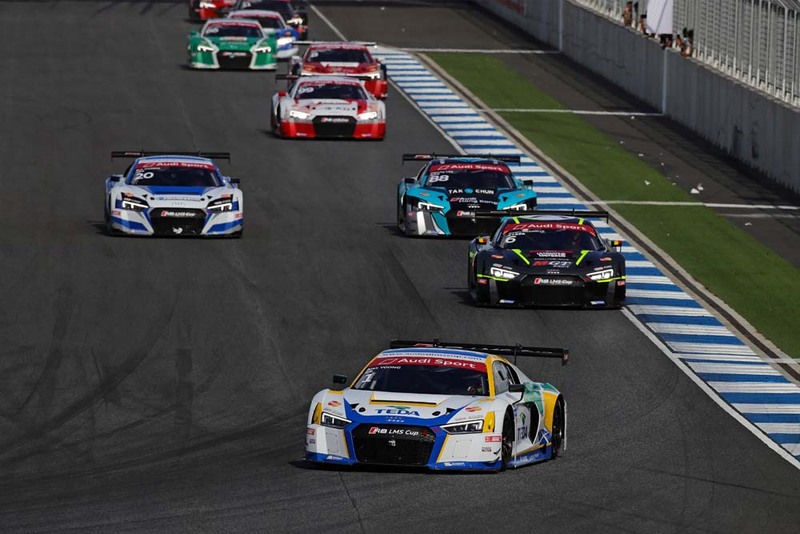 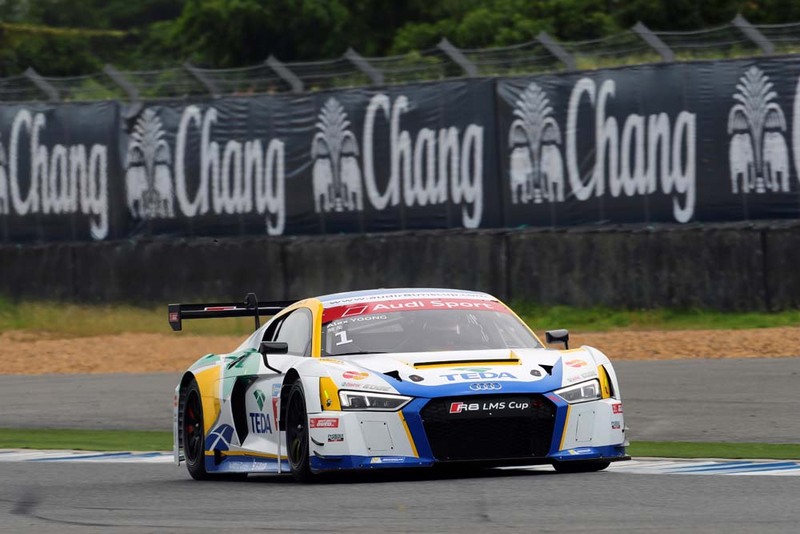 Start of race 1 at Audi R8 LMS Cup, Rd3 and Rd4, Buriram International, Circuit, Buriram, Thailand, 22-24 July 2016. 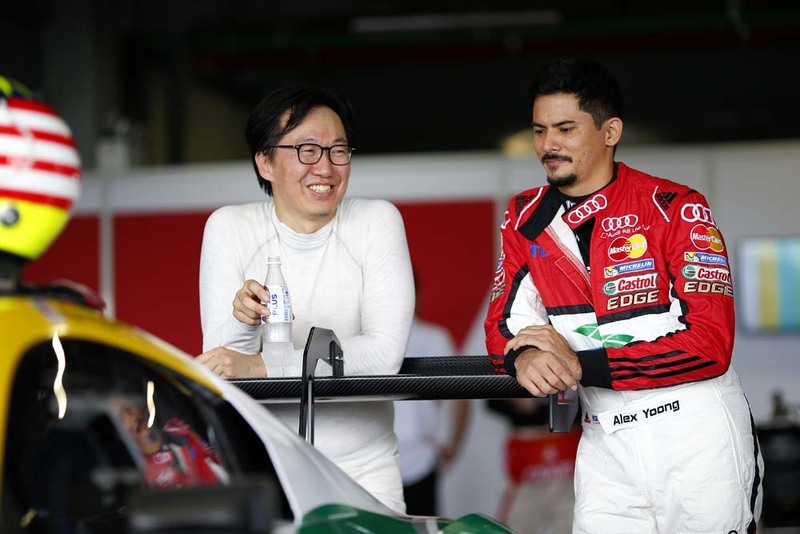 Rick Yoon Sanghwi (ITA) Phoenix Racing Asia and Alex Yoong (MAL) Audi TEDA Racing Team at Audi R8 LMS Cup, Rd3 and Rd4, Buriram International, Circuit, Buriram, Thailand, 22-24 July 2016. 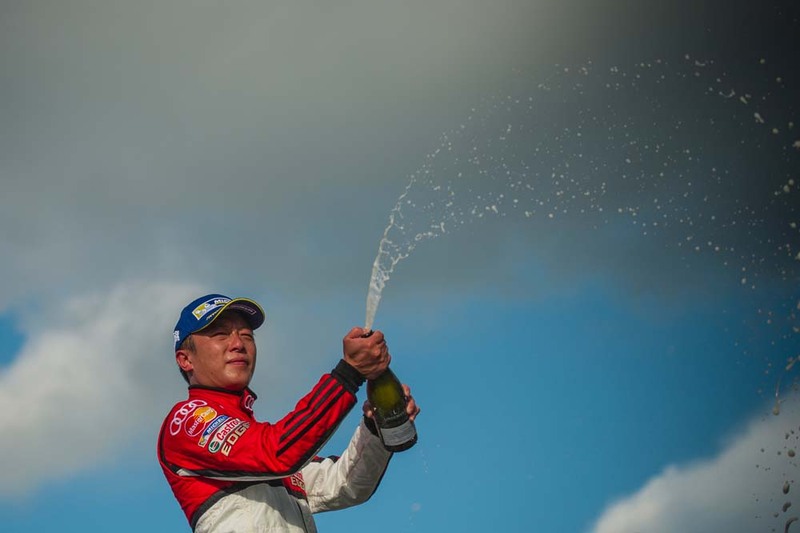 Alex celebrates on the podium with champagne . 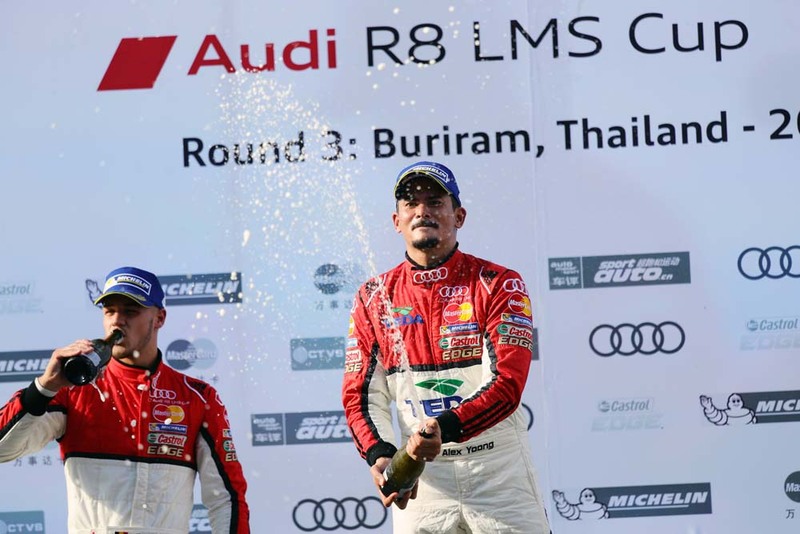 Alex Yoong (MAL) Audi TEDA Racing Team celebrates on the podium withthe champagne at Audi R8 LMS Cup, Rd3 and Rd4, Buriram International, Circuit, Buriram, Thailand, 22-24 July 2016. 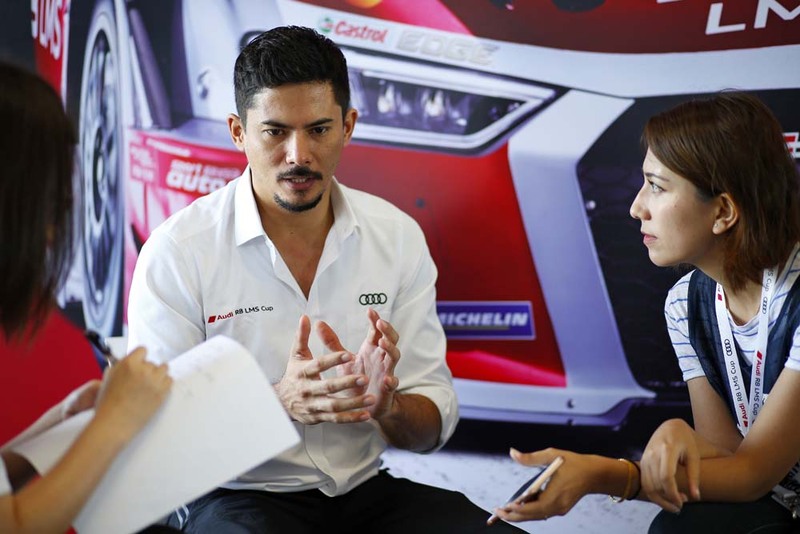 Alex Yoong (MAL) Audi TEDA Racing Team during interview at Audi R8 LMS Cup, Rd3 and Rd4, Buriram International, Circuit, Buriram, Thailand, 22-24 July 2016. 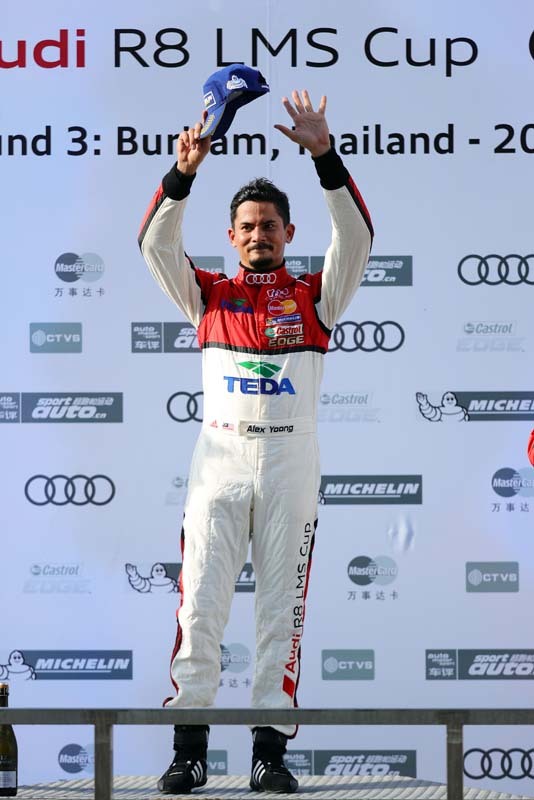 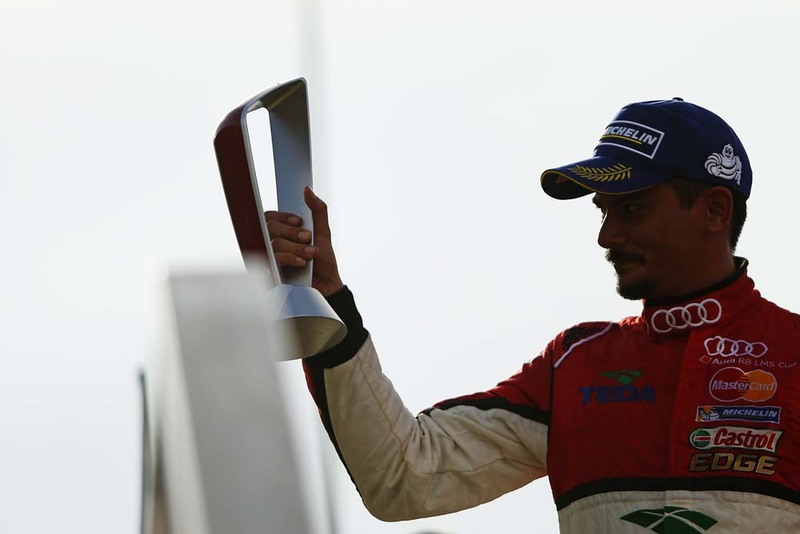 Alex Yoong (MAL) Audi TEDA Racing Team celebrates on the podium at Audi R8 LMS Cup, Rd3 and Rd4, Buriram International, Circuit, Buriram, Thailand, 22-24 July 2016. Marchy Lee (HKG) Audi Hong Kong celebrates on the podium with the champagne at Audi R8 LMS Cup, Rd3 and Rd4, Buriram International, Circuit, Buriram, Thailand, 22-24 July 2016. 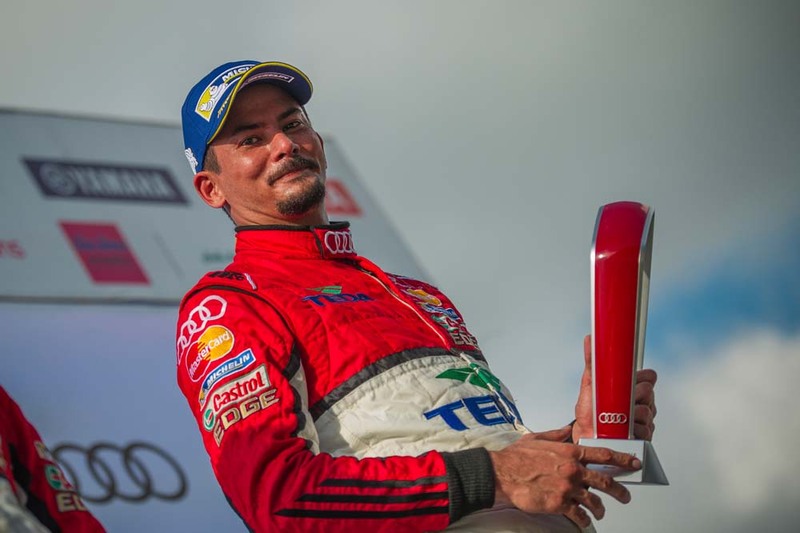 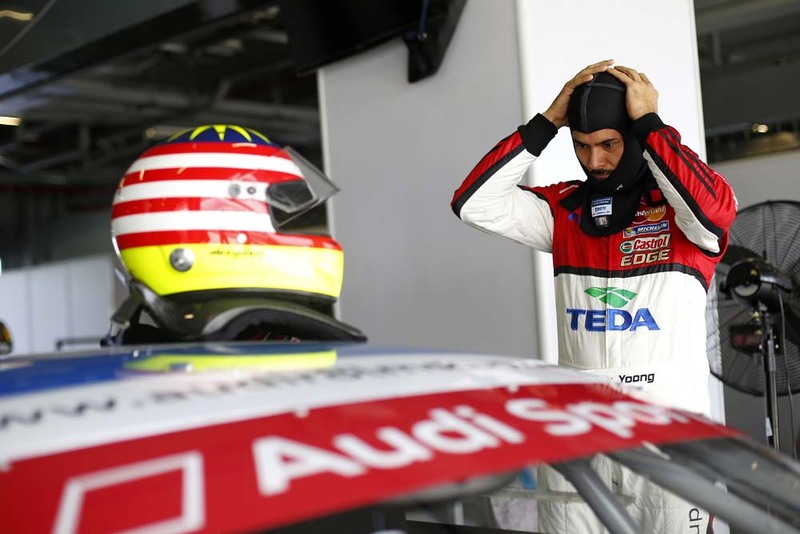 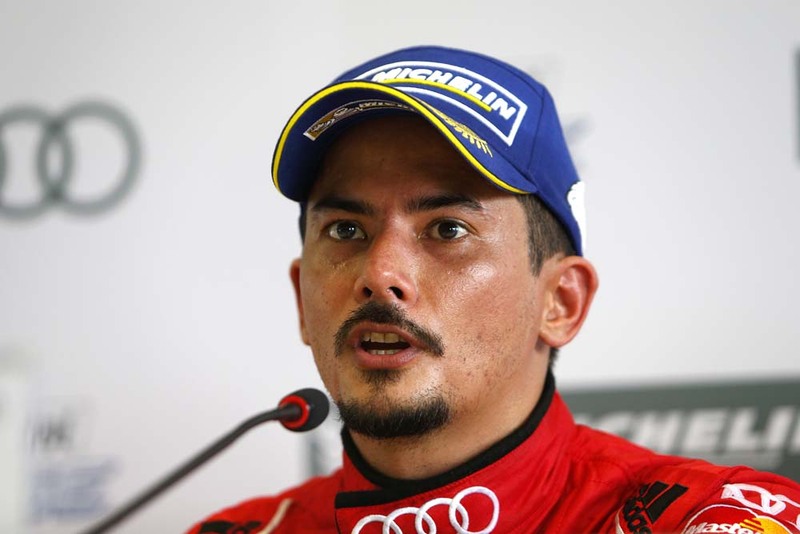 Alex Yoong (MAL) Audi TEDA Racing Team celebrates in parc ferme at Audi R8 LMS Cup, Rd3 and Rd4, Buriram International, Circuit, Buriram, Thailand, 22-24 July 2016. 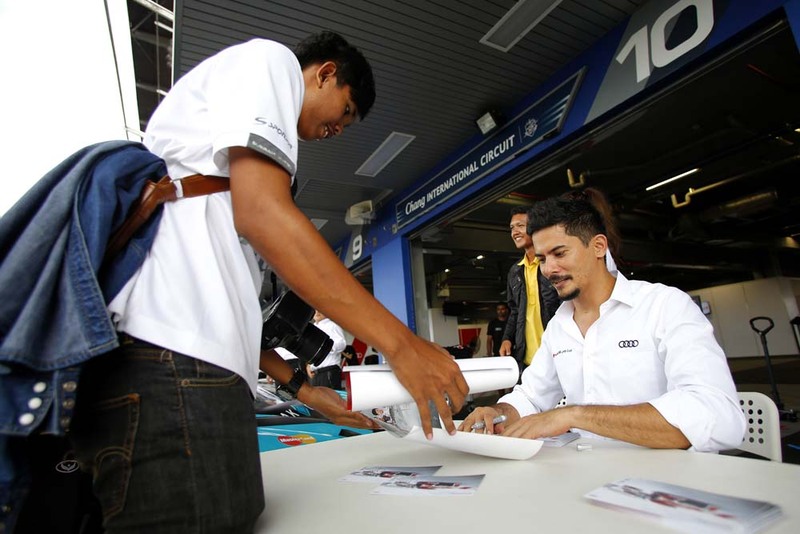 Audi R8 LMS Cup drivers with fans in the pitlane during autographs session at Audi R8 LMS Cup, Rd3 and Rd4, Buriram International, Circuit, Buriram, Thailand, 22-24 July 2016. 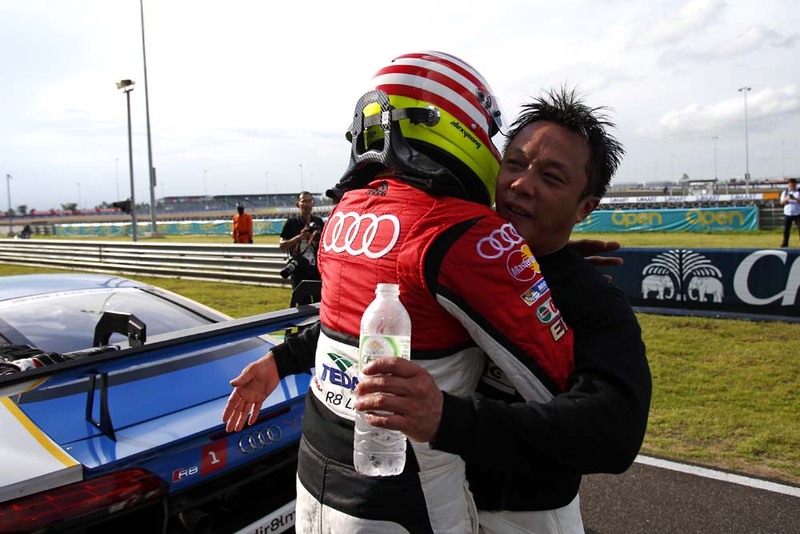 Alex Yoong (MAL) Audi TEDA Racing Team and Marchy Lee (HKG) Audi Hong Kong celebrate in parc ferme at Audi R8 LMS Cup, Rd3 and Rd4, Buriram International, Circuit, Buriram, Thailand, 22-24 July 2016. 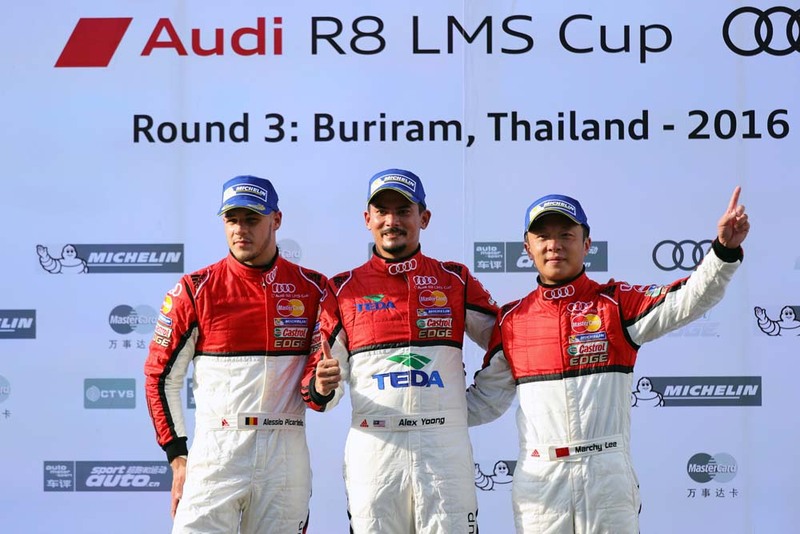 Alessio Picariello (BEL) MGT Team by Absolute, Alex Yoong (MAL) Audi TEDA Racing Team and Marchy Lee (HKG) Audi Hong Kong celebrate on the podium at Audi R8 LMS Cup, Rd3 and Rd4, Buriram International, Circuit, Buriram, Thailand, 22-24 July 2016.